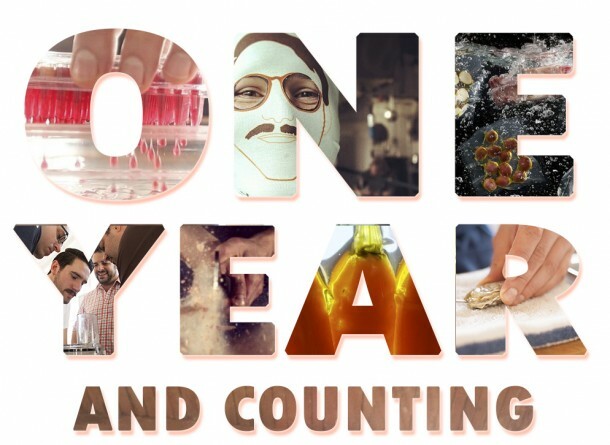 ChefSteps’ first anniversary has come and gone, and, like any good startup, we were too busy working on the next great thing (our online French macaron class) to stop and celebrate. I asked some fellow team members to weigh in on what it’s been like to work at ChefSteps for the past year, and they had plenty to be grateful for. I agree with all of it—especially the part about the talented people I get to work with. We’ve spent the past year developing recipes and techniques, building a clean, easy-to-use platform to feature your recipes, establishing an awesome online culinary community, and listening to input from that community. I’d like to raise my apple gin gimlet to salute our amazing ChefSteps community, our founders Chris Young, Grant Crilly, and Ryan Matthew Smith, and the rest of the ChefSteps team, which continues to grow.